A couple of years ago I had the marvellous opportunity to go to the ISTE conference in San Diego. I learned so much on the trip, and during one of the walks through the conference trade hall, came across Vladimir Tetelbaum demonstrating his robotic cameraman, the Swivl. The Swivl comprises a base to which you connect your IOS device or camera using an adapter, and a tracker that you wear around your neck or clip to your clothes. The base then rotates (or swivl’s!) to follow you wherever you go, with the audio from the mic on the tracker also being streamed back to the base (see note at the end of the article). I was immediately hooked and organised to buy one, having it shipped back to Australia. Here is what the components look like and a quick (sound free!) video of the base following the tracker. One great use of the Swivl is for learning observation. 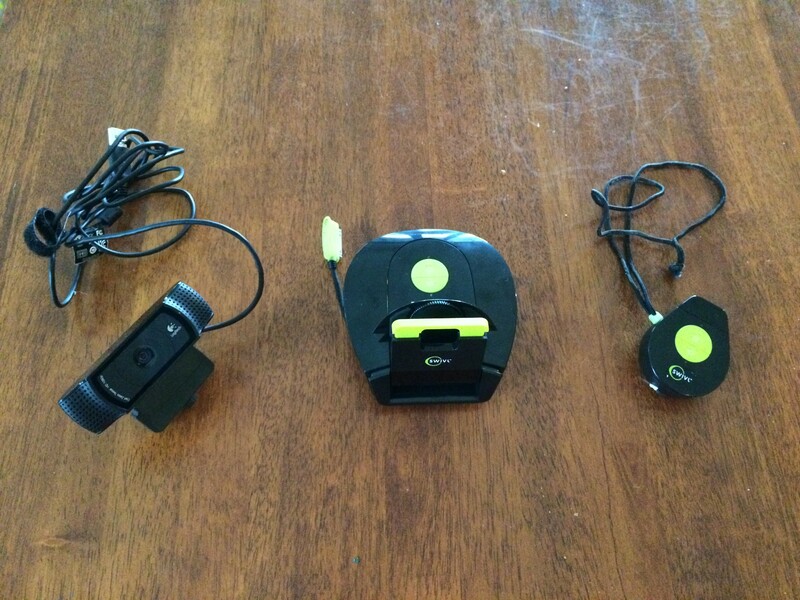 In the classroom, the Swivl followed my every move, recording the video and audio using an iPod, so I could see the way that I interacted with students, delivered content, and generally facilitated the lessons activities. This really pushed me to develop my skill sets and improve the learning that occurred in (and out of) the classroom. The opportunities for solo recording of lesson content to outsource as Flipped Classroom lessons is the other big appeal to me. Prior to getting the Swivl, when filming a complex demonstration or safety briefing, I had to either move the camera away from the demo, making the demo really small, or change the camera angle multiple times, and edit it all together. Well, no more! With the Swivl, the robot cameraman followed my every move, allowing for a seamless recording, all in one take. 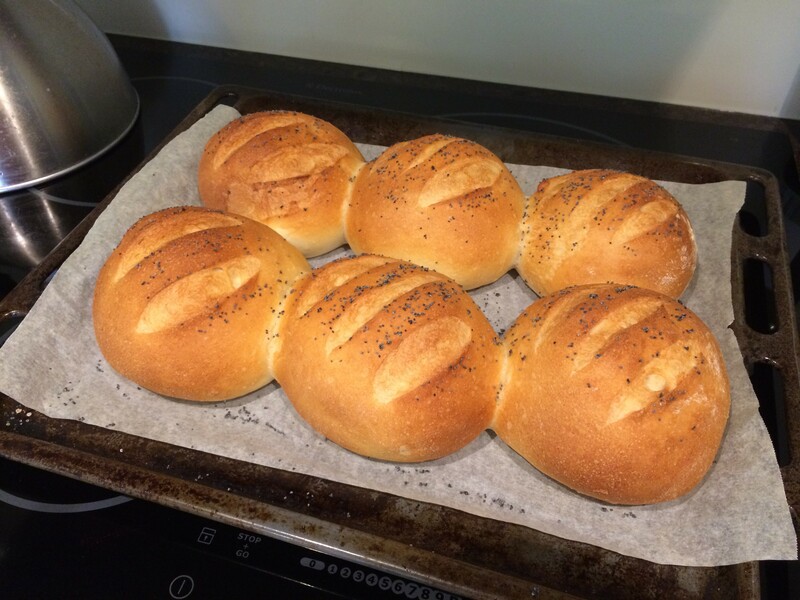 Given it’s the Christmas season, I thought I would channel my inner Jamie Oliver and demonstrate the Swivl that way! I am sure you can imagine it as a science demonstration though. The setup looks messy (along with my bench! ), but is just the Swivl on a tripod, with the Logitech C920 mounted to the Swivl. 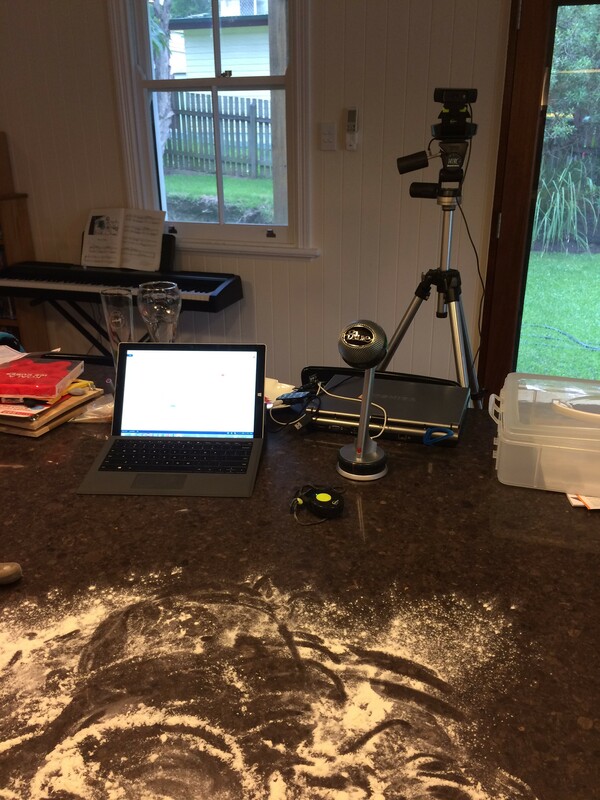 The webcam and Blue Nessie microphone both go to the Targus four port USB3 hub which goes into the Surface Pro 3, using Camtasia to record and edit it all. 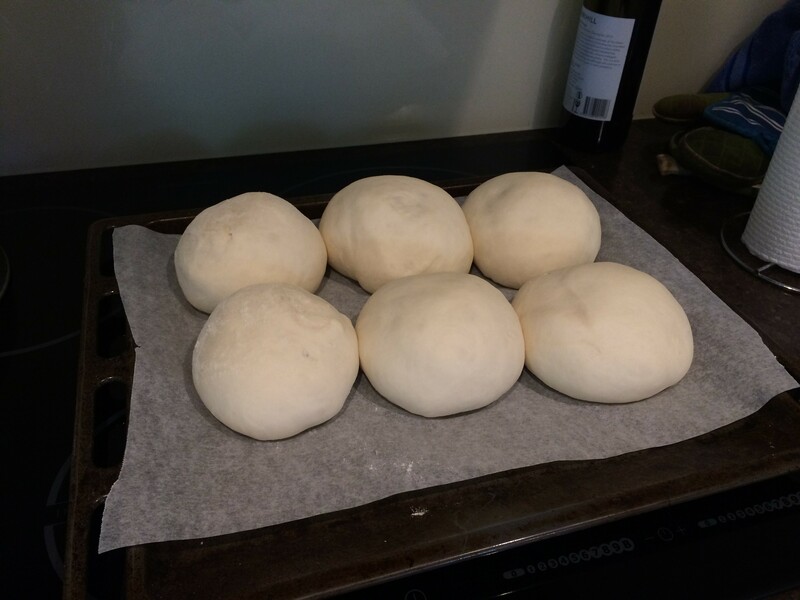 For those that are interested, here are the rolls after proving for 45 minutes, then a 25 minute bake at 210oC. Yum! Previous On the eighth day of Christmas my true love gave to me, a Screen Beam to project wirelessly. How does the audio work? Can you get a lapel microphone to connect to the remote or does the remote do a good enough job? Also, what does it record to – SD card or?? The old one records audio to the IOS device; the new one records to whatever you want. Both the old and the new can have a range of cameras attached to the base, and they record video to whatever they normally record to. There is no recording in the actual unit on either model. Lost this in the great email purge of 2015 (welcome back to school!) Brilliant!! I’ll start saving – this is great for my flipped learning environment!